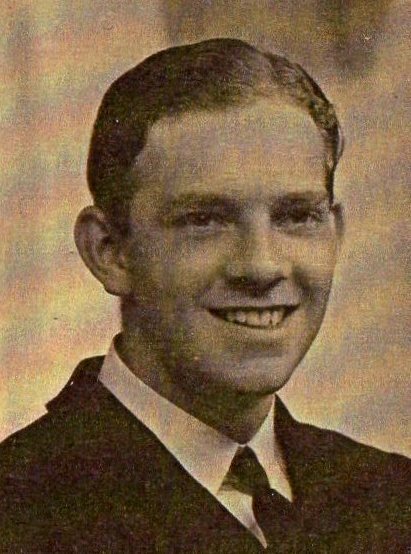 Biographical Information: Following completion of his education at Liverpool College, and a brief interlude as a trainee stockbroker, Charles William Wilson enlisted in the RNVR in October 1939 as an Able Seaman. He served in HMS King Alfred and HMS Drake, during which time he was selected for promotion to commissioned rank. He joined Hood as an Acting Sub Lt in May 1940. He was landed for a medical operation in May 1941, a matter of days before Hood sailed on her final voyage. He served in Portsmouth establishments HMS Excellent and HMS Victory before joining HMS Ferret, in Londonderry, as an Acting Lt RNVR. At the end of World War II, following the end of his naval time, Charles embarked on a business career which culminated in ownership of his own company. He married Brenda Hartley in 1953, and they had two children: Simon (born 1957) and Joanne (born 1960). Charles William Wilson died on 19 September 1973, at the early age of 53.